Looking for a decadent treat? 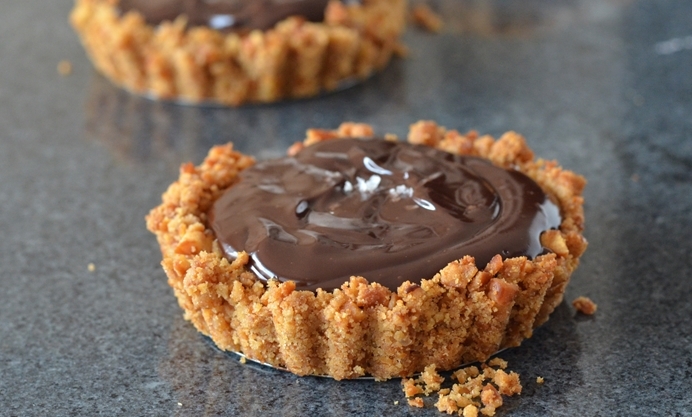 Discover how to make some salted caramel chocolate tarts. These tasty desserts are a rich and indulgent treat that you can’t say no to! Who doesn’t like chocolate? I’m sure there are people out there, but the majority of people love chocolate in one form or another. My brother used to hire out chocolate fountains, and this is when I first discovered the delights of the Belgian chocolate brand Callebaut, who supplied milk or dark chocolate for the fountain in huge 10kg bags. Belgian chocolate has such a creamy smoothness about it and can be used in baking, chocolate making or just for eating. 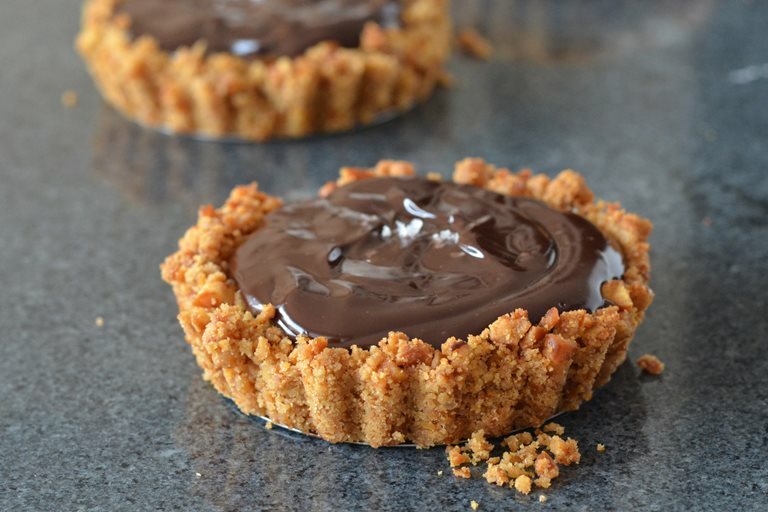 In these tarts I’ve used dark Belgian chocolate to give a deliciously rich and moreish filling that compliments the sweet caramel perfectly. If you’re not into the whole sweet and salty combination then walk away now. If you are then you really must try this sweet and salty pretzel crust, which will send your taste buds flying all over the place. It may not be the best looking tart, but boy, that flavour makes up for it! If you want to make a jarful of salted caramel sauce then add some sea salt flakes to the sauce, but I leave it without salt as not all the members of my family are keen so I just add a few flakes to any recipe using salted caramel. The caramel recipe makes 1 whole jar, so you’ll have some leftover for other desserts. If you’re short on time, use 8 tbsp of dulce de leche for the tarts.